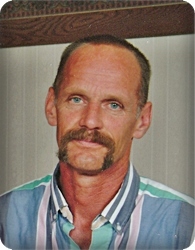 Michael Craig DeHaan, age 61, of Grand Rapids, passed away April 4, 2019. He is survived by his son, Dan (Amanda) of Colorado; parents, Neal and Marilyn of Grand Rapids; siblings, Rog (Jean), Rick (Anita), Kathy (Mitch) all of Grand Rapids. He was preceded in death by his niece, Hannah, sister, Carol, and brother-in-law, Sonny. Per Mike's wishes, there will be no visitation or services.